Motorcyclists are passionate about their riding, about the art of motorcycling and the journey. Irrespective of what bike you have or how long you have been riding there is one thing for sure, you have been introduced to the Sore or Numb Bum syndrome. 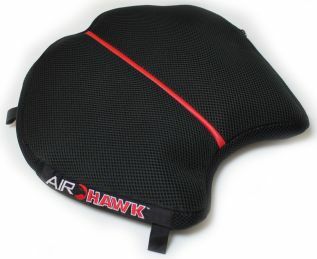 Okay so you’ve tried the wine cask, and the sheep skin and the gel pads and a saddle and a seat, the list goes on and on, to be honest… if you haven’t used an AIRHAWK, then you have not been riding yet. 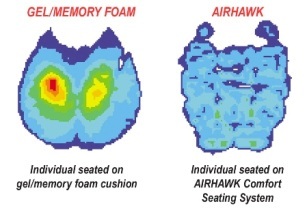 AIRHAWK Motorcycle Cushions are designed specifically for motorcycles with interconnected air-filled cells in each cushion, fully customisable to suit each rider and pillion’s weight. Absorbs shock and vibration, reducing jarring, fatigue. All models have an inner made from strong, lightweight Polyurethane. *NOW WITH NEW LIFETIME WARRANTY! 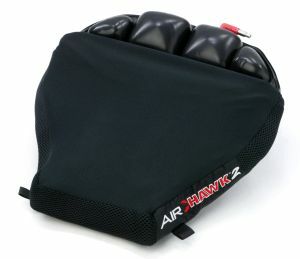 The covers feature a grippy non-slip base, perforated side walls to aid air flow and a nylon/lycra top for aditional breathability. *Warranty applies to defects in materials and manufacturing of polyurethane bladder and is at the discretion of Airhawk Australia Pty. 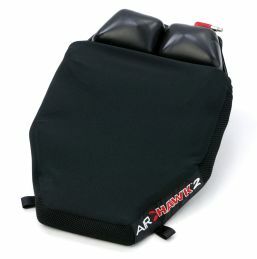 Ltd.
* The AHMC is a cheaper option for most Large Tourers and Sports Tourers and Large Pillion seats. 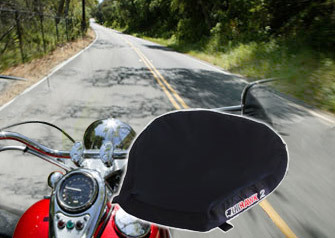 * The AHR-S suits most medium size rider and medium size pillion seats. TUONO MANA SHIVER – FRONT, AIRHAWK DUALSPORT. REAR, SMALL PILLION. DORSODURO – FRONT, AIRHAWK DUALSPORT & REAR SMALL PILLION. TNT – FRONT, AIRHAWK DUALSPORT. REAR, SMALL PILLION. K1300R, AIRHAWK DUALSPORT, REAR, SMALL PILLION. R1200R – FRONT, AIRHAWK R-L REAR, SMALL PILLION. HP2 F800R – FRONT, DUALSPORT. REAR, SMALL PILLION. HYPERMOTARDS – FRONT, AIRHAWK DUALSPORT & REAR, SMALL PILLION. MONSTERS – FRONT, AIRHAWK R-S. REAR, SMALL PILLION. GT1000 TOURING – FRONT, AIRHAWK R-L. REAR, AIRHAWK R-S.
CB1000R CB400 – FRONT, AIRHAWK DUALSPORT. REAR, SMALL PILLION. SM 610 SM450 – FRONT & REAR SMALL PILLION. GT650 GT250 – FRONT, AHR-L. REAR, SMALL PILLION. Z1000 ER-6NER-6NL – FRONT, AIRHAWK DUALSPORT. REAR, SMALL PILLION. Z750 – FRONT, AIRHAWK DUALSPORT. REAR, SMALL PILLION. 990 SUPER DUKE 990 SUPERMOTO690 DUKE – FRONT, AIRHAWK DUALSPORT. REAR, SMALL PILLION. SMC – FRONT & REAR, SMALL PILLION. GRISSO 1200 &1200 SPORT – FRONT, AIRHAWK DUALSPORT. REAR, SMALL PILLION. V7 CLASSIC – FRONT, SMALL CRUISER. REAR, SMALL PILLION. V7 CAFÉ – FRONT, AIRHAWK R-S. REAR, AIRHAWKR-S.
BRUTALES – FRONT, AIRHAWK DUALSPORT. REAR, SMALL PILLION. FRONT, MEDIUM CRUISER. REAR, SMALL PILLION. GSX 1300B B-KING GSF1250 BANDIT - FRONT, AHR-L. REAR, SMALL PILLION. SFV650 GSR600 – FRONT, DUALSPORT. REAR, SMALL PILLION. GS500 – FRONT, AIRHAWK DUALSPORT REAR, SMALL PILLION. DRZ 400SM – FRONT & REAR, SMALL PILLION. THRUXTON – FRONT, AHR-L OR MEDIUM CRUISER. REAR, SMALL PILLION. BONNEVILLE & SCRAMBLER – FRONT, SMALL CRUISER. REAR, SMALL PILLION. SPEED TRIPLE & STREET TRIPLE – FRONT, AHR-S. REAR, SMALL PILLION. VMAX, MT-01,XJR1200/1300 FZ1 FZ1S TDM – FRONT, AHR-L. REAR, SMALL PILLION (XJR SIDEWAYS). FZ6N FZ6SXJ6N XJ6S XJ6F – FRONT, AHDS. REAR, SMALL PILLION. MT 07 TRACER - FRONT, AHDS. REAR, AHSP. MT09 TRACER - FRONT AHR-L, REAR, AHR-S.
XJR700 - FRONT, AHDS, REAR, AHR-S. XSR900 - FRONT, AHDS, REAR, AHSP. 883 SPORTSTER, XL1200N, XL1200C – FRONT, AHR-L. REAR, SMALL PILLION. XR1200, XL1200X – FRONT, AHR-S. REAR, SMALL PILLION. FXD, FXDB, FXDL, FXDC, FXDF, FXDWG – FRONT, AHR-L. REAR, SMALL PILLION (OR AHR-S IF 28CM WIDE). 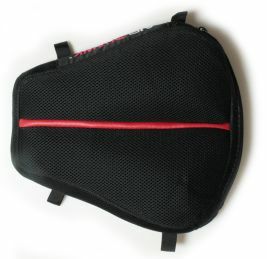 FXST, FXSTC, FXCWC, FLSTB, FLSTC, FLSTN, FLSTF – FRONT, AHR-L. REAR, SMALL PILLION (OR AHR-S IF 28CM WIDE). 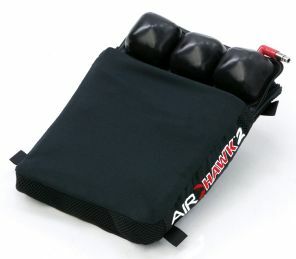 FLHR, FLHRC, FLHX – FRONT, AHR-L. REAR, SMALL PILLION (OR AHR-S IF 28CM WIDE). FLH, FLHTCU – FRONT, AHR-L. REAR, AHR-L OR MEDIUM CRUISER. V-RODS, VRSDC, VRSCG – FRONT, AHR-L (OR AHR-S IF 28CM WIDE). REAR, SMALL PILLION. VTX1300, VT750C, DN-01, VT400 – FRONT, AHR-L. REAR, SMALL PILLION. AQUILA, GT650, GV650, GV250 – FRONT, AHR-L OR MEDIUM CRUISER. REAR, SMALL PILLION. VULCAN 1700 VOYAGER, VULCAN 1700 NOMAD – FRONT, AHR-L. REAR, AHR-L OR MEDIUM CRUISER. VULCAN 1700 CLASSIC, VULCAN 900 CLASSIC, VULCAN 900 CUSTOM – FRONT, AHR-L. REAR, SMALL PILLION. BELLAGIO940 CUSTOM – FRONT, AHR-L OR MEDIUM CRUISER. REAR, SMALL PILLION. VZR1800, M109R, VLR1800T, C109RT, VZ1500, M90, VL800, C50, C90, VZ800, M50, VL250 – FRONT, AHR-L. REAR, SMALL PILLION (OR AHR-S IF 28CM WIDE). ROCKET3, ROCKET3 TOURING, THUNDERBIRD, AMERICA, SPEEDMASTER – FRONT, AHR-L. REAR, SMALL PILLION (OR AHR-S IF 28CM WIDE). VEGAS, VEGAS LOW, VEGAS 8 BALL, VEGAS JACKPOT, HAMMER, HAMMER S, KINGPIN, KINGPIN TOUR, KINGPIN LOW – FRONT, AHR-L OR MEDIUM CRUISER (OR AHR-S IF 28CM WIDE). REAR, SMALL PILLION. XV1900 ROADLINER, XVS1300 VSTAR, XVS1100 VSTAR CUSTOM/CLASSIC, XVS950, XVS650 CLASSIC/CUSTOM, – FRONT, AHR-L OR MEDIUM CRUISER. REAR, SMALL PILLION (OR AHR-S IF 28CM WIDE). VSTAR 650 - FRONT AHR-L, REAR, AHR-S.
XV250 VIRAGO, XVS250 VSTAR - FRONT, AHR-L OR MEDIUM CRUISER. REAR, SMALL PILLION. STRYKER - FRONT, AHR-L, REAR, AHR-S.
RSV4 FACTORY/R – FRONT, DUALSPORT. REAR, SMALL PILLION. K1300S, R1200RS, S1000RR – FRONT, DUALSPORT. REAR, SMALL PILLION. HP2 SPORT, S1000RR – FRONT, DUALSPORT REAR, SMALL PILLION. 959,1299 PINIGALE, 659 TO 1200R MONSTERS, ALL HYPERMOTARD, DIAVEL, 1198S/SE/S, 1098R, 848, 1000S – FRONT, DUALSPORT. REAR, SMALL PILLION. VFR1200F, CB1100, CB1100R, INTERCEPTOR, CBR650F, CBR500R, CBR1000RR FIREBLADE, CBR600RR – FRONT, DUALSPORT. REAR, SMALL PILLION. GT650R, GT250R – FRONT, DUALSPORT. REAR, SMALL PILLION. NINJA H2R, H2, ZX1400/R, ZX10/R ZX6/R, NINJA 1000, Z1000, Z800, NINJA650, ER6, Z250, NINJA &Z300 – FRONT, DUALSPORT. REAR, SMALL. BRUTALE, BRUTALE DRAGSTER, F3, F4, TURISMO VELOCE, STRADALE, F41000R/312/CC1078, DORSODURO – FRONT, DUALSPORT. REAR, SMALL PILLION. GSXR HAYABUSA, GSXS1000F, GSX/R1000/750/R600, SV650 – FRONT, DUAL SPORT. REAR, SMALL PILLION. DAYTONA 900/675, SPEED 94,SPEED TRIPLE, STREET TRIPLE – FRONT, AHR-S. REAR, SMALL PILLION. FZ1, FZ9, FZ7, FZ6R YZFR1/M/S, YZFR6, YZFR3 – FRONT, DUALSPORT. REAR, SMALL PILLION. PEGASO – FRONT, SMALL CRUISER. REAR, SMALL PILLION. CAPONORD- FRONT, AHR-L. REAR, AHR-S.
R1200GS/GSA OIL COOLED – FRONT, AHR-L. REAR, AHR=S. R1200GS/GSA WATER COOLED-FRONT, AHR-L. REAR, AHR-S.
F800GS/F650GS – FRONT, AHR-L. REAR, SMALL PILLION. G650 GS/DAKAR – FRONT, AHR-L OR MEDIUM CRUISER. REAR, SMALL PILLION. MULTI STRADA 1200/S,1100/S – FRONT, AHR-L OR MEDIUM CRUISER. REAR, AHR-S.
VFR800X-FRONT, AHR-S. REAR, AHR-S. VFR1220X/AFRICA TWIN-FRONT, AHDS. REAR, AHSP. XLV1000 VARADERO – FRONT, AHR-L OR MEDIUM CRUISER. REAR, SMALL PILLION. KLR650 – FRONT, SMALL CRUISER. REAR, SMALL PILLION. 640/690/950/990 ADVENTURE – FRONT, SMALL CRUISER. REAR, SMALL PILLION. STELVIO/STELVIO NTX – FRONT, AHR=L OR MEDIUM CRUISER. REAR, AHR-S.
DL1000/650 V-STROM – FRONT, AHR-L. REAR, SMALL PILLION. DR650 – FRONT, SMALL CRUISER OR SMALL PILLION (SHORTER RIDERS). REAR, SMALL PILLION. TIGER 1050 - FRONT, AHR-L. REAR, AHR-S.
TIGER 800 XR & XC - FRONT, AHR-L. REAR, SMALL PILLION. TIGER 1200 EXPLORER - FRONT, AHR-L. REAR, AHR-S.
XT/TT250 – FRONT, AHDS. REAR, SMALL PILLION. XTZ TENERE – FRONT, AHR-L. REAR, SMALL PILLION. R1150/R1200R/RT, K75/ 100/1200GT/LT/1300GT/K1600GT/LT, – FRONT, AHR-L. REAR, AHR-L. F800ST-FRONT, AHR-L. REAR, AHR-S.
GOLDWING/F6B-FRONT, AHR-L. REAR, AHR-L. ST1300/CTX1300-FRONT, AHR-L. REAR, AHR-S.
INTERSTATE-FRONT, AHR-L. REAR, SMALL PILLION. NM4/CTX700-FRONT, AHR-S. REAR, AHR-S. GL1500/GL1800 GOLDWING, ST1100/1300, VFR800/1000/1200 – FRONT, MEDIUM CRUISER. REAR, LARGE PILLION. VERSYS 650LT/ABS-FRONT, AHR-L. REAR, SMALL PILLION. VERSYS 1000LT-FRONT, AHR-L. REAR, AHR-S. CONCOURSE/VOYAGER/GTR1000/GTR1400 – FRONT, AHR-L. REAR, AHR-S.
VULCAN 900 CLASSIC/CLASSIC LT-FRONT, AHR-L. REAR, AHR-S. VULCAN 900 CUSTOM/S - FRONT, AHR-L. REAR, SMALL PILLION. GSX-S1000/1000F/GSR750-FRONT, AHR-L. REAR, SMALL PILLION. GSX1259F/GSF1200 BANDIT/1250S/SA BANDIT – FRONT, AHR-L. REAR, AHR-S.
GSX650F/GLADIUS/INAZUMA – FRONT, AHDS. REAR, SMALL PILLION. SPRINT ST/ST2/ST3 – FRONT, AHR-L. REAR, SMALL PILLION. FJR1300AE/A - FRONT, AHR-L. REAAR, AHR-S. MT09 TRACER - FRONT, AHR-S. REAR, SMALL PILLION. FJR 1300 – FRONT, AHR-L, REAR, SMALL PILLION. YZF-R6 – FRONT, AHDS. REAR, SMALL PILLION.